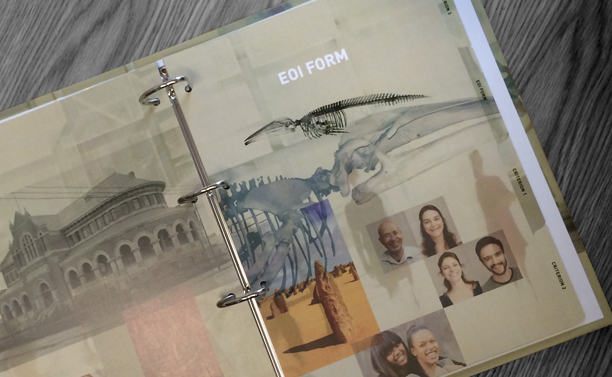 Brief: To design and produce ring binder and tabbed divider sets that visually represented this landmark state project. 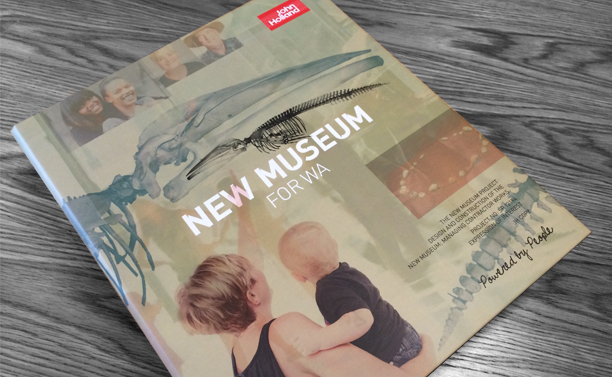 The WA government stated the museum will be developed using a People First approach and it will share the stories of our people and place. Rationale: The museum will help people share, explore and connect. New exhibitions will be based on three major themes: Being Western Australian; Discovering Western Australia; and Exploring the World. These themes are represented in the submission's visual branding via the selection and use of relevant imagery. Soft transparency and montage suggest the idea of flexibility and the ever changing, dynamic and creative visitor experience the new museum will offer.